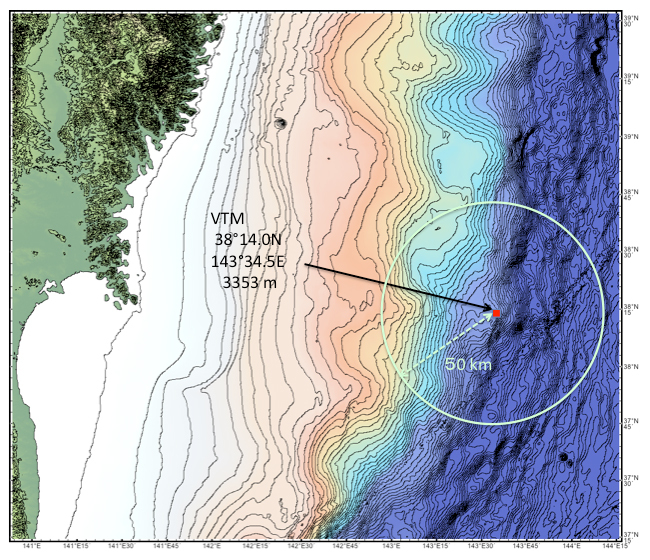 As already announced in the press releases (“Identifying the Source Location of the Giant Tsunami Generated by the 2011 Tohoku Earthquake” dated October 4, 2013 and “A New Ocean Bottom Tsunameter Based on the Ocean Dynamo Effect” dated January 8, 2014), Japan Agency for Marine-Earth Science Technology (JAMSTEC; Asahiko Taira, President) has demonstrated the effectiveness of the new ocean bottom Tunameter (The Vector TsunaMeter: VTM), which can estimate the tsunami propagation vector based on the ocean dynamo effects. 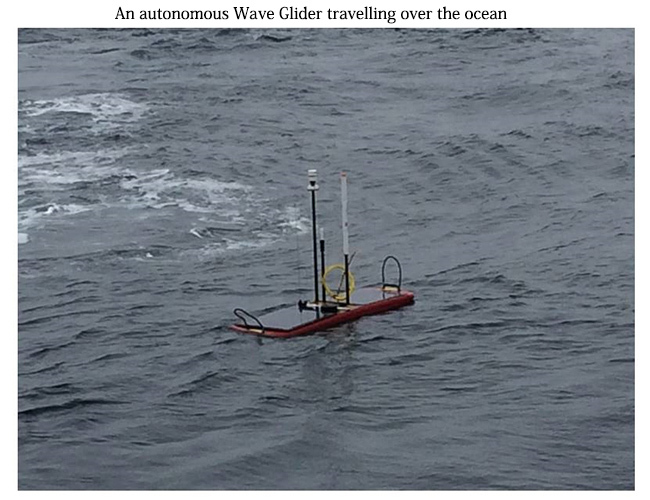 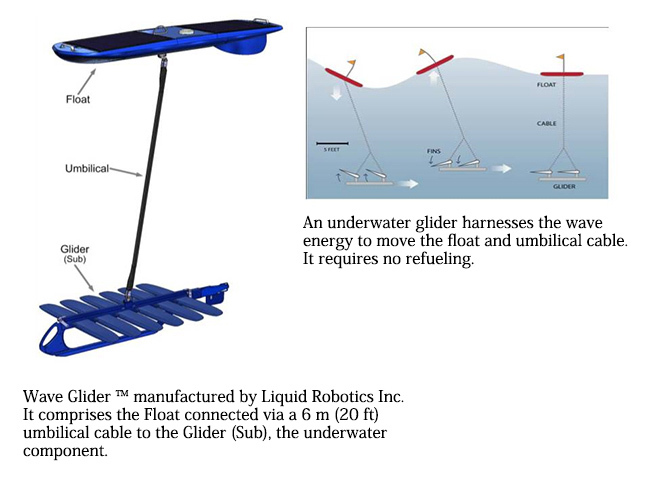 Towards building a real-time observation system using this device, a trial observation was carried out by placing the VTM on the bottom of ocean, which successfully transmitted real-time data to the land via a Wave Glider, an autonomous ocean-going platform. 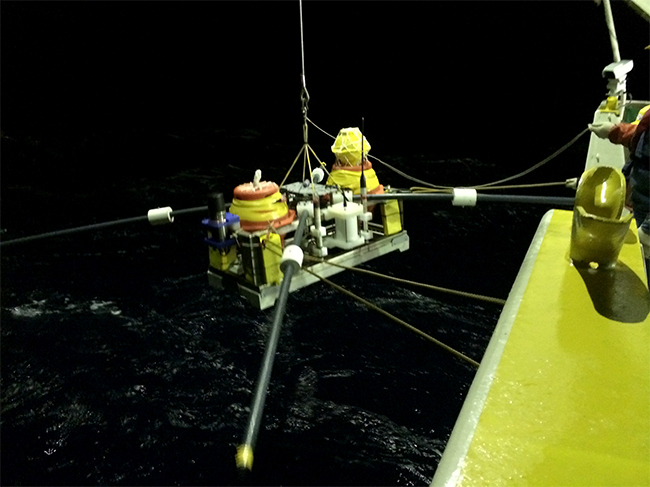 On the early morning of April 3, this system successfully caught the tsunami waves propagating towards the Japanese coasts in real time after the earthquake struck off the coast of northern Chile on April 2 (Japan Time). 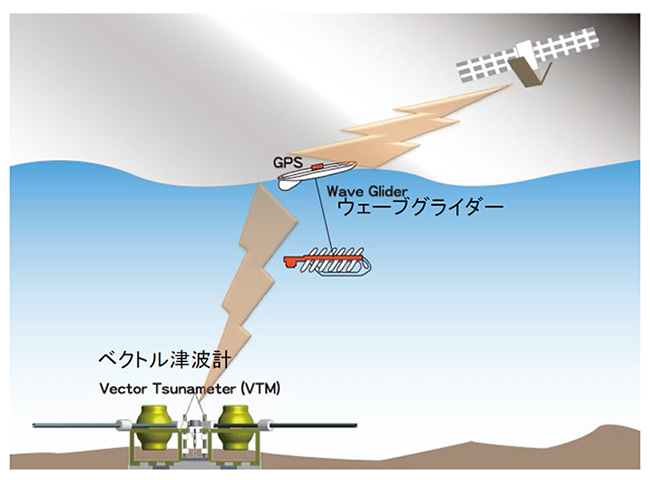 ※ The white circle shows the Wave Glider’s traveling area.